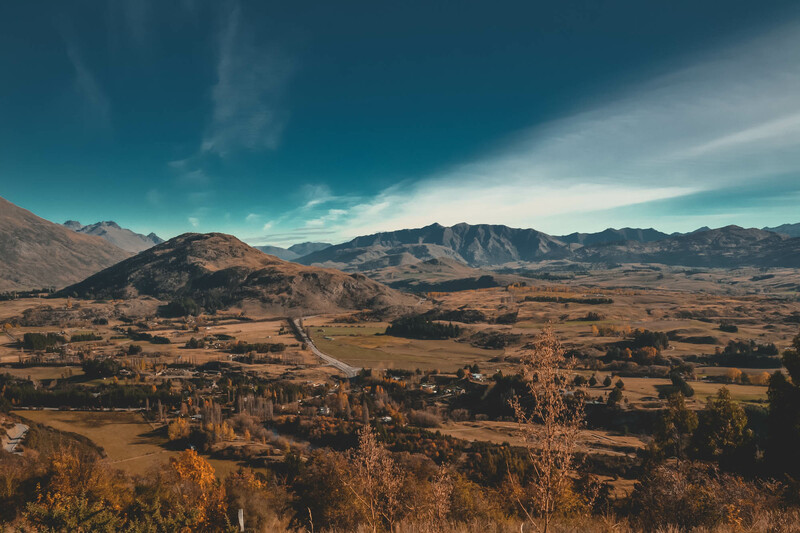 It’s almost impossible not to fall in love with this amazing country of otherworldly landscapes, but arguably the best way to explore is by road. After all, with only four million permanent residents, there’s a whole lot of secluded paradise to discover. Nikki and I set of on our own three-week road trip in May and it’s safe to say that we were blown away. 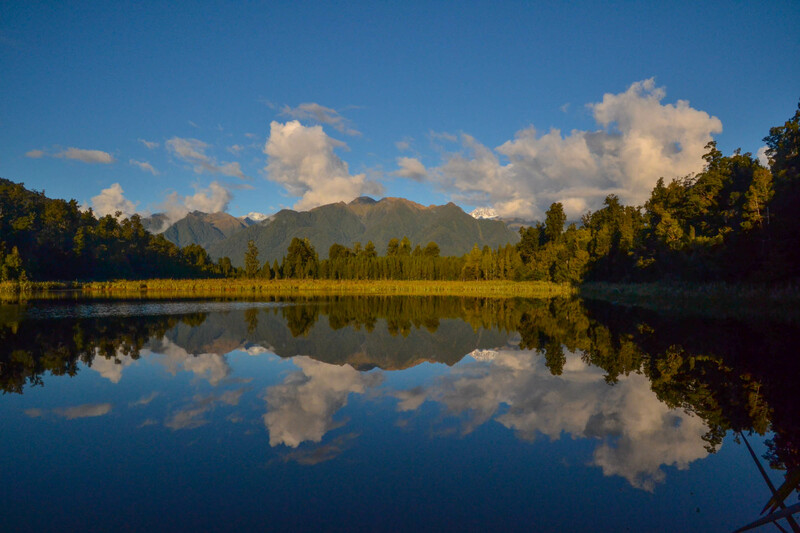 Setting off from Auckland and ending in Christchurch we worked our way down both islands, from the rugged, volcanic landscapes of the North Island to the snow-capped peaks and mirror-like lakes of the South Island. Along the way we hiked, skydived, jet-boated, horse-rode, helicoptered onto a glacier, handglided… and consumed many, many, many cheese scones. And sometimes we just stopped at the side of the road and soaked up the incredible scenery. That’s the beauty of a road trip — you can make up your own itinerary and explore at your own pace; discovering places you didn’t even know existed. This is one decision not to rush; after all it isn’t just your transport, but your accommodation too. Depending on the size of your party and whether you want to be powered or non-powered there are huge amounts of vehicles to choose from, from converted people-carriers to campervans with their own toilets and shower facilities. 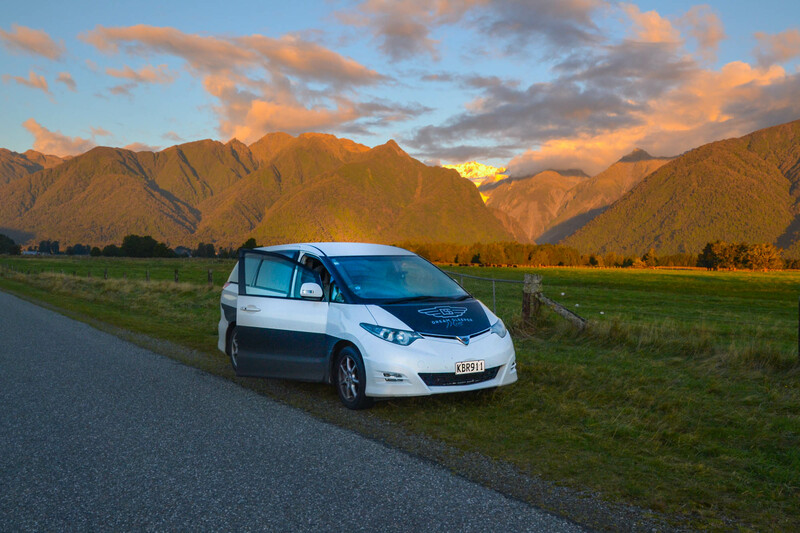 As there was just two of us and we didn’t want to be driving a monster of a car we went for a campercar; The Dream Sleeper Mini by Spaceships rentals, to be exact. Not only did it have great reviews online, but it was smartly done up, with a discreet fridge and kitchen facilities at the back, fold out bed and even USB ports by your pillow. Plus, we loved the fact that it wasn’t heavily decorated or garishly spray painted a lot of campercars you see on the road (Wicked Campers, we are looking at you). We absolutely fell in love with our car (named Mellifluous) and couldn’t imagine having a more comfortable or easy to live-in car — and it was an absolute dream to drive. We decided to fly into Auckland and out of Christchurch, spending one week in the North Island and two in the South. 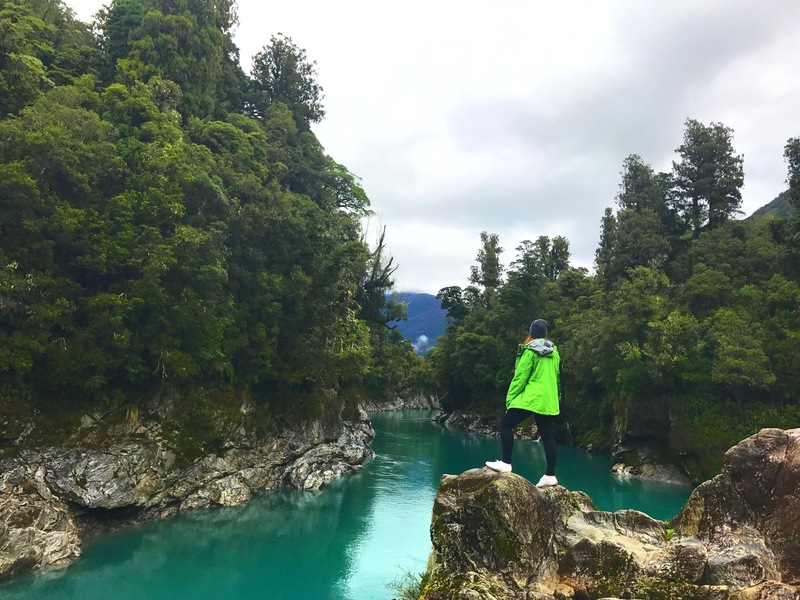 In hindsight, we are very glad we planned it this way as we particularly fell in love with the stunning landscapes of the South Island. We worked out the distances between the areas we wanted to visit and planned our stops accordingly, making sure to leave a few buffer days here and there — especially around activities that are weather-dependent, like our heli hike in Fox Glacier (the weather is very temperamental here) and skydiving in Lake Wanaka. We would have been so disappointed to miss out on these amazing activities and we were very thankful that we had allowed more time. 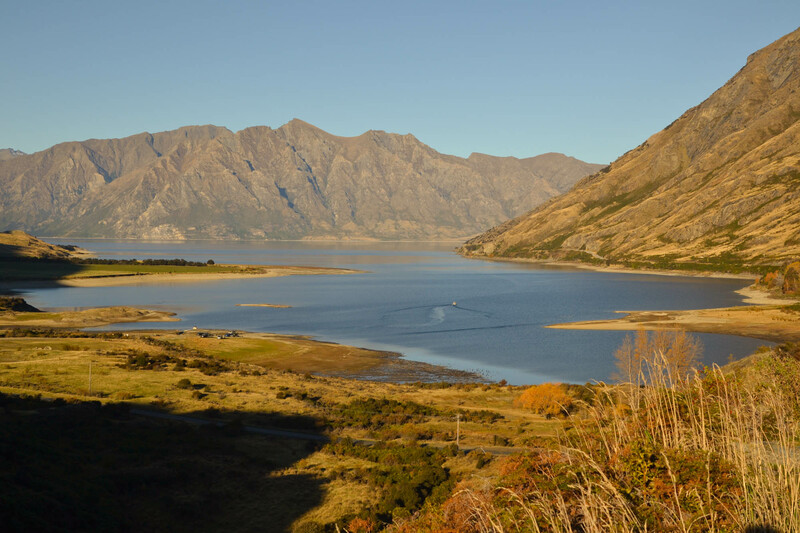 Depending on what budget you’re following and how many facilities you want in the evenings, there are several different accommodation options: free camping (designated areas that you can camp in without paying. Note: this doesn’t mean the side of the road), low cost camping grounds (usually with just a toilet and sometimes showers) and holiday parks (hot showers, kitchens and other facilities). You can mix and match throughout your trip, like we did, and see what campgrounds are in the area you are visiting by checking out the super-useful campermate app. The app also shows any offers, average price, what facilities are available and user reviews. 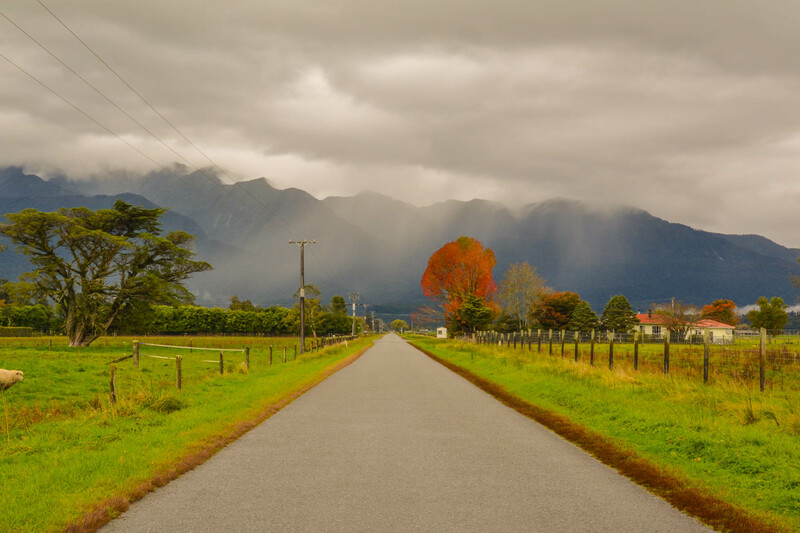 There are many, many straight roads that stretch out towards the horizon – especially in the North Island — so it is very easy to break the speed limit. We unfortunately got ourselves a speeding ticket, so we speak from experience! The speed limits vary depending on the road, with 100km/h the top speed on highways. Sat Navs are a great way to keep an eye on the changing limits, as well as for directions. 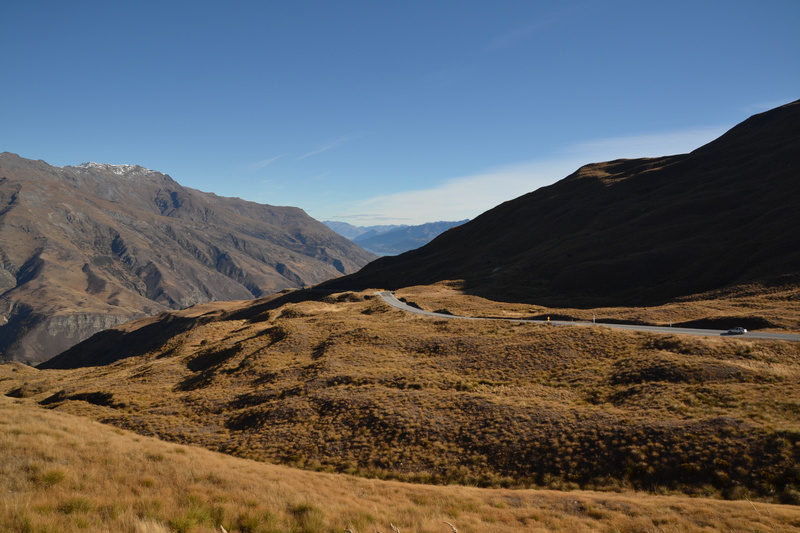 The roads in New Zealand vary depending on where you are, but on the whole they are single lane roads, with only a few motorways as you enter the bigger cities. The roads get very windy along the coastal roads and mountain passes in the South Island and the speed limit will go down as low as 20km/h. One thing you will see a lot of is one lane bridges and on a few occasions, they are so long that you can’t see the other side; make sure to keep an eye out for who has right of way. Another thing you will see a lot of is railway lines, often with ‘stop and look’ signs and no barriers. There is even a one-lane bridge near Greymouth on the South Island that also shares a track with trains. Yes really! One thing that there is no short of is amazing views in New Zealand and you get a front row seat on a road trip. We loved that you would be driving through undulating, emerald-green countryside one minute and driving past steaming hot springs the next. You will lose count of the amount of times you say ‘wow’. 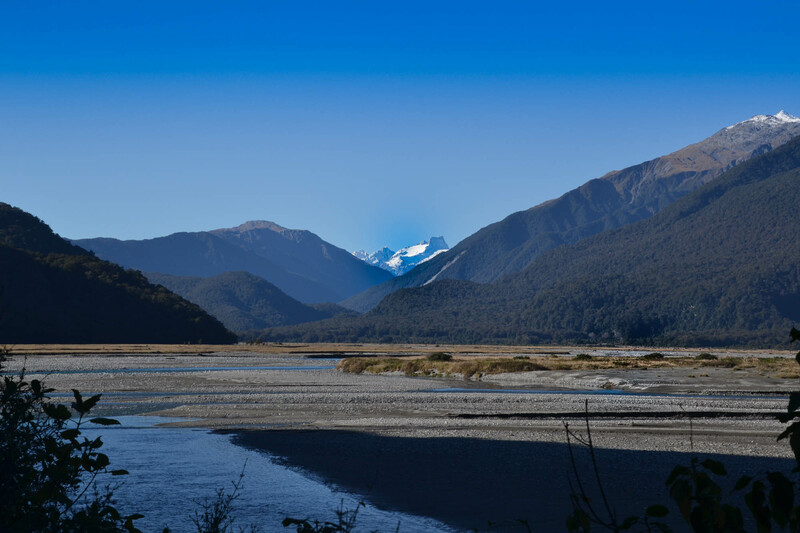 A New Zealand road trip is jam-packed with amazing sights so get off the beaten track and explore! Even if you have a four-hour drive ahead of you, there are often plenty of places for quick pit-stops on the road so look out for any brown road signs showcasing places to visit and viewpoints. The roads can get very windy at times, which often means it easy to get stuck in slow moving traffic; much to any New Zealand local’s annoyance. The unwritten rule is to pull over —when safe — and let the faster traffic pass. On busier highways this is less of an issue and there will usually be a passing lane every once in awhile for overtaking. 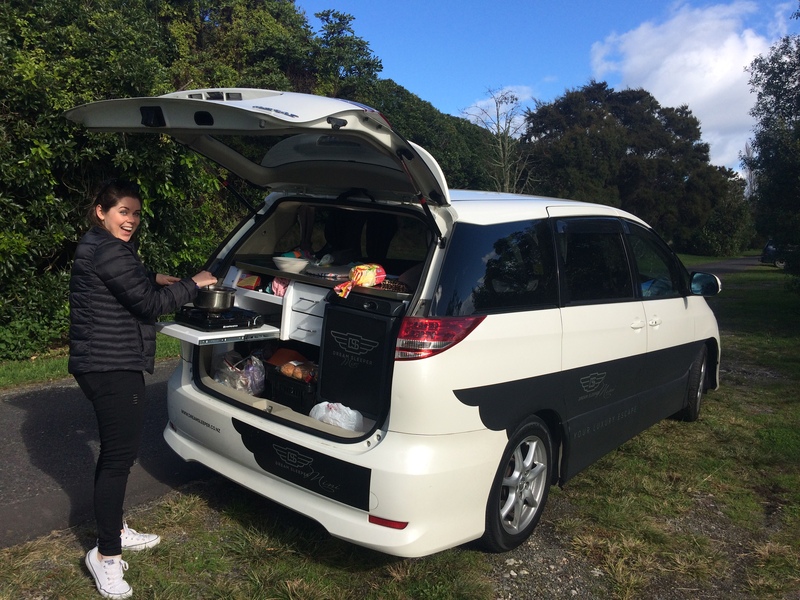 Your car is going to be your home for the whole of your New Zealand road trip, so get comfy (*not messy*). One of the things Nikki and I looked forward to most in the evenings was a nice glass of wine in our van, a hot water bottle to get extra cosy and a couple of episode of House of Cards. Whatever works for you!